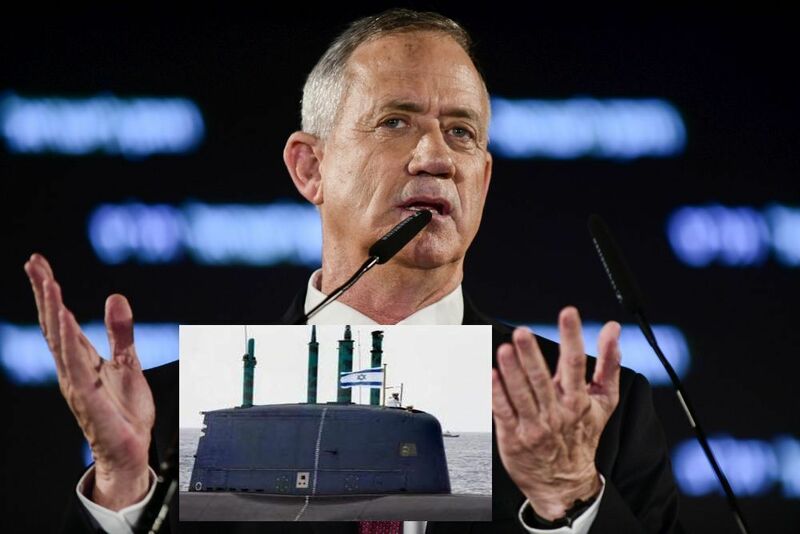 Without hard facts, it cannot be determined whether Blue-White leader Benny Gantz was blowing hot air when he spoke of “fresh evidence” against PM Binyamin Netanyahu in the submarine investigation (Case 3000) during his first recorded interview on Tuesday night, March 19. Some time ago, Netanyahu was cleared of any connection with the case by the police, prosecution and attorney general. That case threatened to fall apart when, shortly after the interview, the key state witness Miki Ganor reported to the police that he wanted to change his testimony. In his plea bargain with the prosecution in 2017, Ganor had admitted to using bribes to secure submarine contracts for Israel with the German ThyssenKrupp shipbuilders, which he represented. Senior officials questioned in the case were the prime minister’s personal attorney David Shomron, his former bureau chief David Sharan and former Navy commander Maj. Gen. (res) Eliezer Marom. Tuesday night, Ganor told police officers that he had lied; “I did not bribe anyone,” he said. He was promptly re-arrested on suspicion of obstructing the course of justice. Under questioning, he collapsed and was taken by ambulance to hospital. There is no information on Ganor’s motive for recanting his testimony, which provided the underpinning for Case 3000. However, by sinking the case, Ganor’s U-turn also sunk the cornerstone of Gantz’s campaign to beat Likud’s Binyamin Netanyahu in the April 9 election and take his place at the helm of government. Gantz guaranteed his party a 40-seat win (in the 120-member Knesset) on the very day that Blue-White plummeted by 7 seats according to various polls. Ten days ago, Blue-White topped the charts. Likud has now reclaimed its lead. No fallback key campaign issue was cited in the event of the submarine affair fizzling. In the event it exploded in the faces of its strategists, Gantz, Yair Lapid, Gaby Ashkenazi and Moshe Ya’alon. Regarding the hacking of his smartphone by Iran, former chief of staff Gantz insisted that there was no security content to be stolen or any information that could embarrass him in any future public office. This was a gamble. He can’t tell what the hackers may choose to disclose at any moment, whether they are Iranian agents or another party. He therefore remains vulnerable. Since no national issues of interest to the average voter, such cost of living, public transport, affordable house, education – and the like, were even touched upon – and even on the Palestinian question, Gantz was vague, his widely-anticipated and aired first press interview cannot be said to have given Blue-White the necessary boost for reversing its downward slide. Oh man, the trick with the submarine does not float, eh? Gantz =Schwantz and the other three are Schmekels. What is a schmekel ?